Tomatoes just blush with goodness! 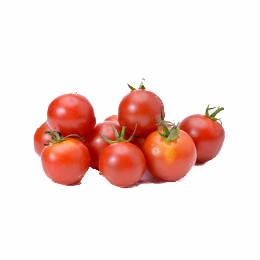 They are good sources of Vitamin C and beta-carotene and the richest source of the antioxidant lycopene. Low lycopene levels are associated with prostate and breast cancers. Tomatoes contain other phytochemicals which, together with their lycopene levels, make them an excellent addition to your salad. Interestingly this is one case where processing can actually enhance the availability and absorption of nutrients. So not only can you enjoy fresh tomato, you can also enjoy a little tomato purée, tomato soup or even tomato sauce! Lycopene appears to have the ability to help protect cells and other structures in the body from oxygen damage and has been linked in human research to the protection of DNA (our genetic material) inside white blood cells. My practical nutrition suggestion – Don’t leave it at salads! Think soups, pasta sauces and pizza toppings to boost your lycopene intake. For a mere 300 calories try a leisurely protein and lycopene rich weekend breakfast or poached eggs & toast. Simply serve 2 poached eggs with 1 medium grilled tomato on a slice of wholegrain bread spread with a thin scraping of low fat spread. Filling, nutritious and delicious!